A lower fat version to an American favorite dessert. 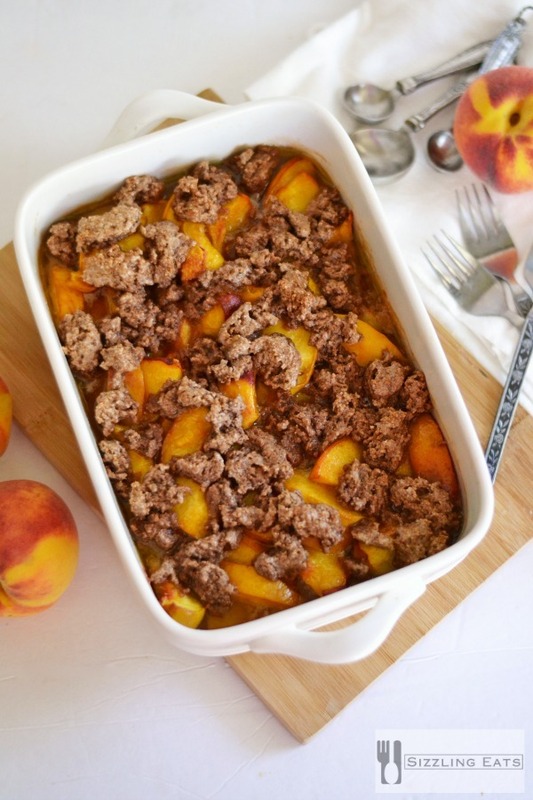 This Peach Crumble Recipe is easy, fool proof and totally delicious! When the warm weather hits, there is nothing like a sweet, juicy, Georgia Peach. 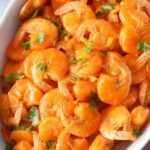 I have always loved peaches, and found the variety from Georgia to be some of the best, if not the best! 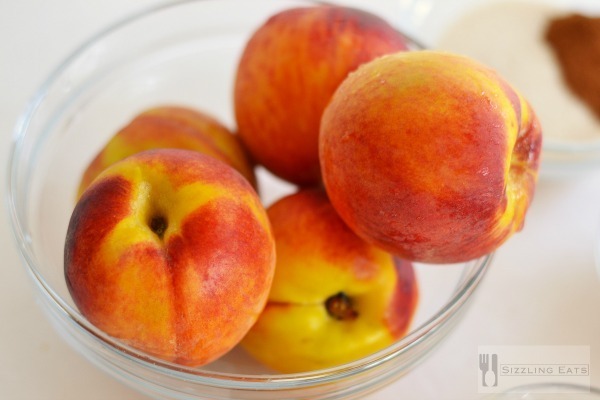 The sweet, fragrant scent, of a soft and ripe Georgia peach is totally hard to resist! I recently received a box from Pearson Farms in Georgia to help spark some creativity in the kitchen. 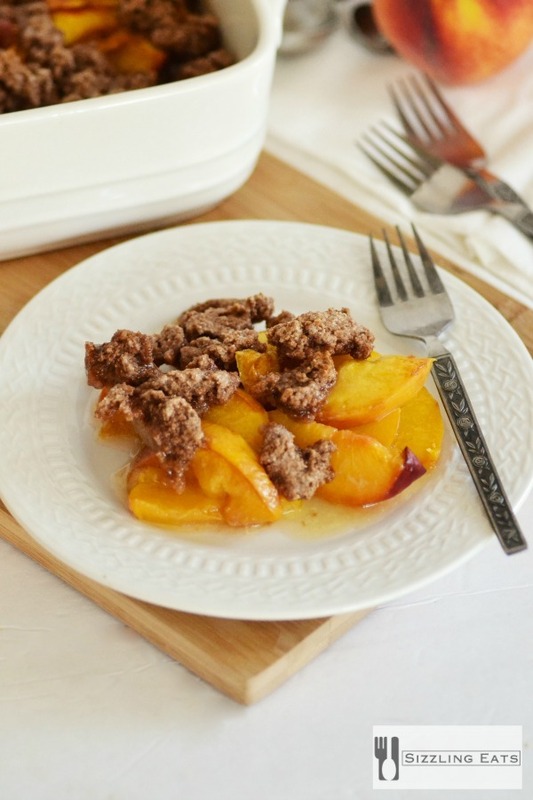 Honestly, I wanted to set some of these delectable peaches aside to simply eat so I decided a Sweet Georgia Peach Crumble would be in order. I figured it would use no more than 6 peaches so that would leave enough for my family to each savor some fresh Georgia Peaches for a snack. After the peach crumble came out of the oven, my family all agreed that it was a great decision. Even though we are in the dead of summer, it was fairly cool enough to run the oven for no more than one hour. The result? A deliciously sticky sweet concoction of some of the juiciest peaches I have ever tasted, and the perfect balance of crumble. I am trying to eat more wholesome so I tweaked some ingredients that I’d normally use in a crumble, and incorporated others like egg whites. 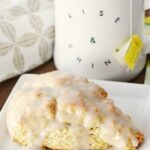 This recipe uses organic whole wheat flour, and organic sugar. I figure every small change will hopefully result in something good! The tweaks worked out perfectly because the dessert was awesome! 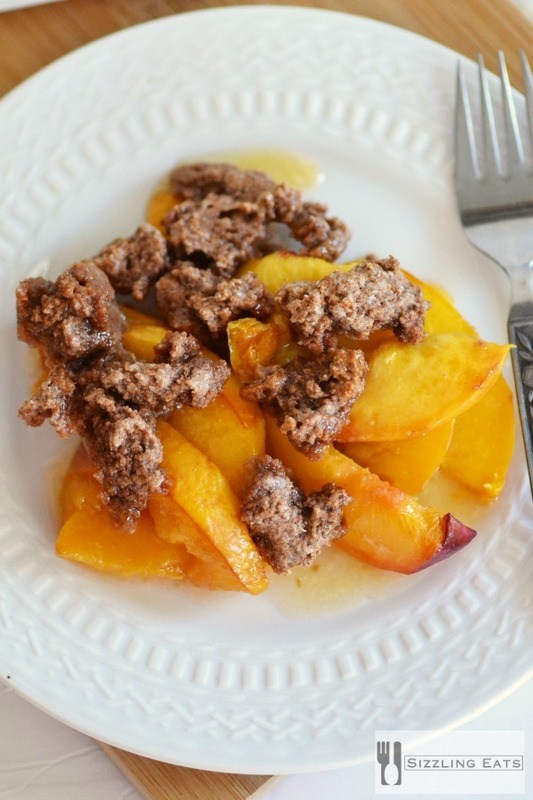 This Sweet Georgia Peach Crumble really would have gone so well with some ice cream but like I said, I am making some major lifestyle changes. That was so apparent with our shipment—totally fresh! 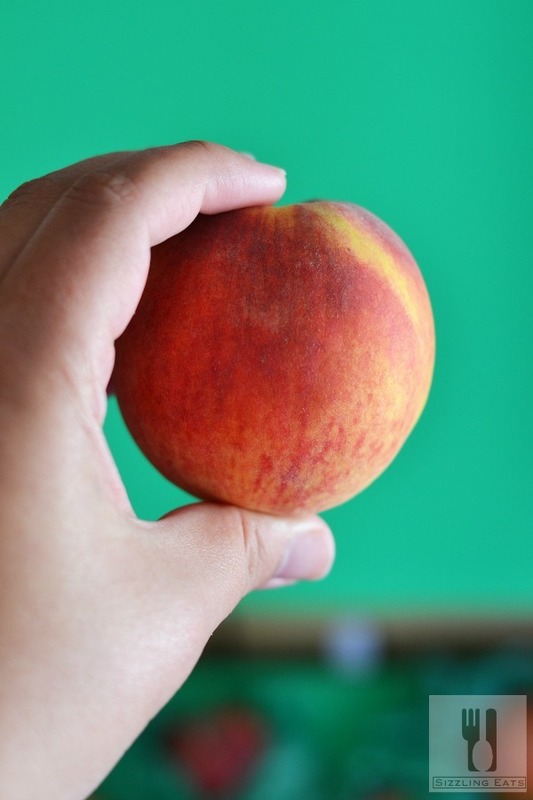 Plus, at 60 calories, an average size peach is packed with fiber, A, C and E vitamins, potassium and zinc. 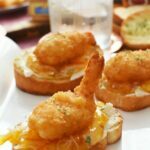 The golden warm weather favorite is also fat, cholesterol, sodium, gluten and trans fat free making it not only an ideal snack, but also a featured ingredient in everything from beverages, to appetizers, main dishes and desserts like our crumble! 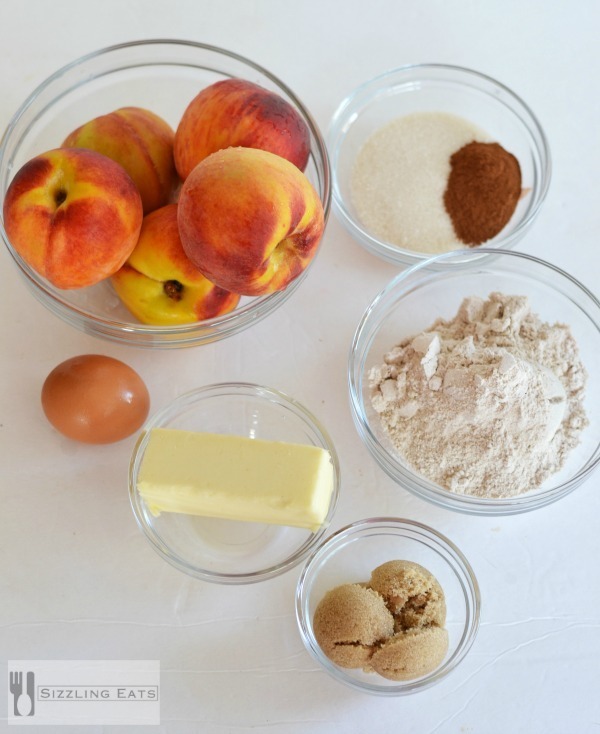 In a separate bowl, mix in other ingredient which will create the crumble mixture. 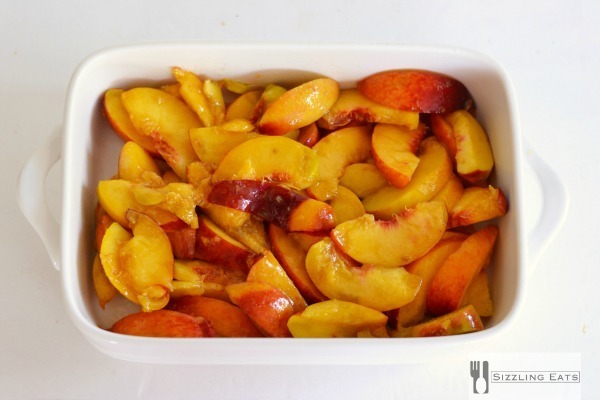 Place peaches in the baking dish, and sprinkle crumble on top. 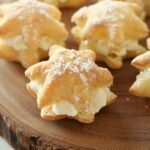 Serve warm with some optional fresh cream or ice cream. 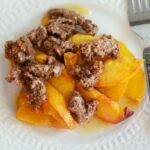 For more recipes and info on Sweet Georgia Peaches, connect with The Georgia Peach Council on social media sites Facebook, Twitter & Pinterest. A lower fat adaptation to an American favorite dessert. 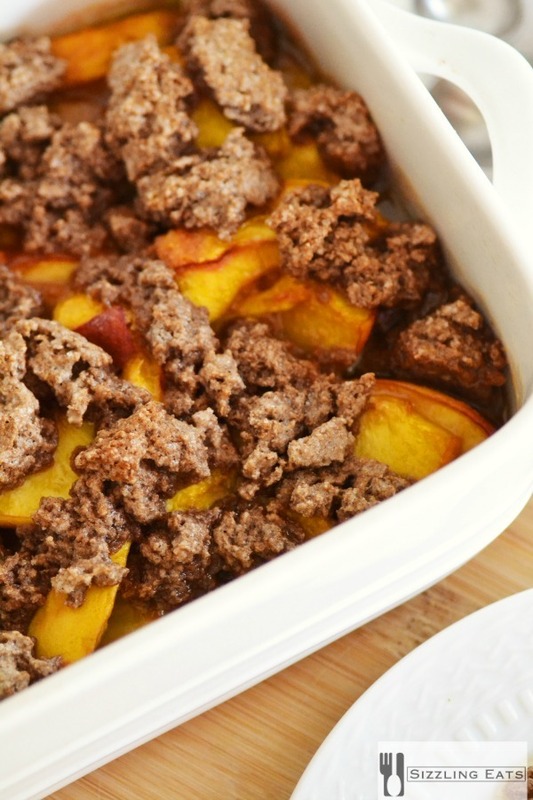 This Peach crumble is easy, fool proof and totally delicious! Being a resident of Georgia, I can say we are all about the peaches! That looks delicious! That looks totally delicious! I could go for a piece or two right now! 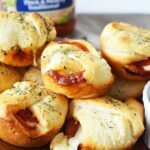 Wish people would put the recipe at the top of the page.